In the middle of March, Heidelberger Druckmaschinen AG (Heidelberg) and MK Masterwork (MK) presented the new Diana Go folder gluer for the growing packaging market at an open house event in MK’s European factory in Nové M?sto, Slovakia. Among the European packaging printers taking part were representatives from the companies that have already signed the first contracts for three serial production machines. The tour of Production and Assembly in Nové M?sto as well as the presentation of the Diana Go confirmed to the companies once again that their faith in MK and Heidelberg to deliver a machine that lives up to their expectations will be fully satisfied. The Diana Go is the latest model to be produced in the Nové M?sto factory, which has a history of manufacturing equipment for packaging postpress applications going back more than 30 years. Located in Slovakia 120 km north east of Vienna, the site is perfectly located to supply customers not only in central Europe but also around the world. The Nové M?sto site has delivered many hundreds of machines to the global packaging industry over the past thirty years. Originally established by one of the great names in the packaging industry, the Jagenberg company, the plant’s capacity was greatly increased by Heidelberg following its acquisition of the site in 2003. Operating under the MK Masterwork banner since 2016 with around 150 employees, the factory has undergone significant development. The production capacity has been doubled since then to handle the demand for the new Diana Go as well for the existing Diana ranges. The success of the cooperation between Heidelberg and MK Masterwork is founded on the perfect fit between the two companies’ core strengths. MK Masterwork is the largest manufacturer of post-press equipment in the Asian region and has invested heavily in the manufacturing and R&D capacity needed to meet the demands of customers in the growing packaging market as the extensive development of the Nové M?sto site shows. 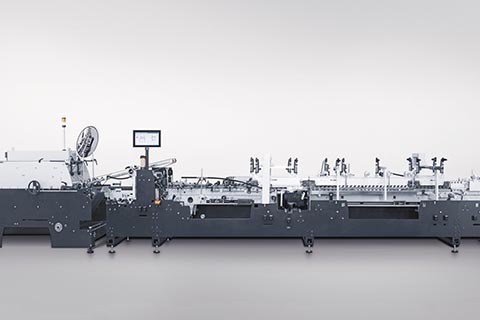 With its global sales and service infrastructure, Heidelberg provides a worldwide distribution channel for MK Masterwork. The Diana Go folder gluer offers both commercial and packaging printers a cost-effective, flexible, and productive entry-level machine with a small footprint.